Mercedes-Benz E-Class (W213) series represent the fifth-generation of the Mercedes-Benz E-Class range of executive cars, including sedan (W213) and station wagon (S213) configurations. Sold from 2016 (as a 2017 model), it is the successor to the W212/S212 E-Class models. A high-performance Mercedes-AMG E63 version of the W213 and S213 has been available as well from 2016 (as a 2017 model). 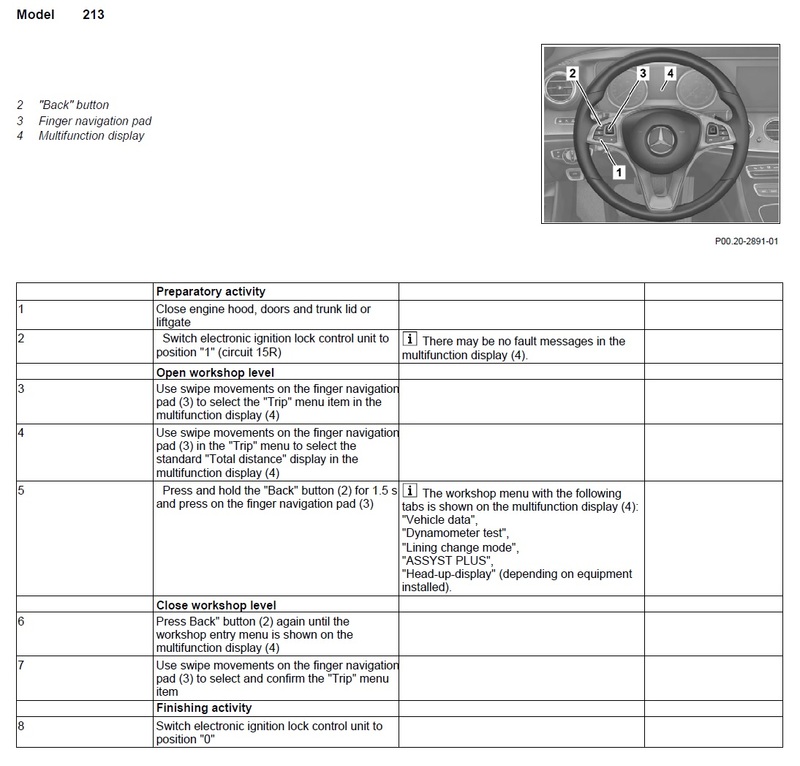 In this blog post, we provide details on how to reset your service interval via the steering wheel controls. Click to reveal larger instructions. www.diagnostichaus.com ©. Simple theme. Powered by Blogger.